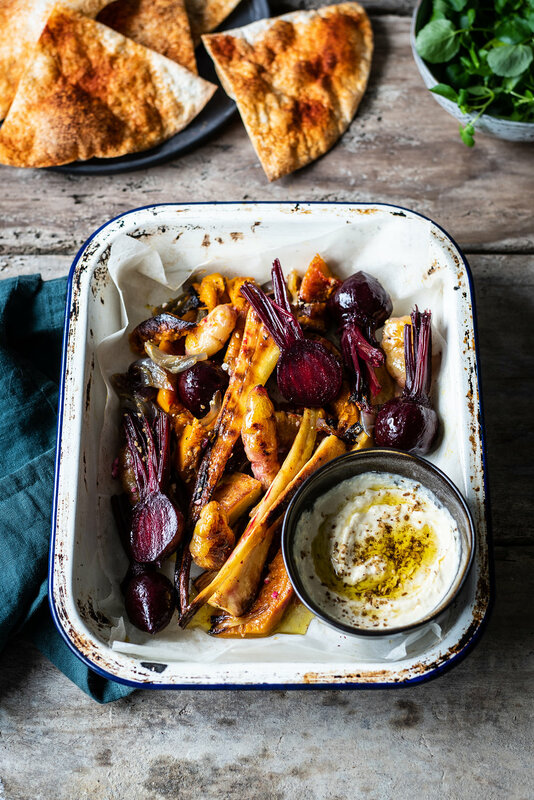 Golden and crunchy, roasted root vegetables topped with fragrant dukkah and feta cheese. Serve with a generous spoonful of Lisa’s Smokey Hummus and baked tortilla crisps. Alternatively, use leftover roasted vegetables as a quick and easy lunch idea. 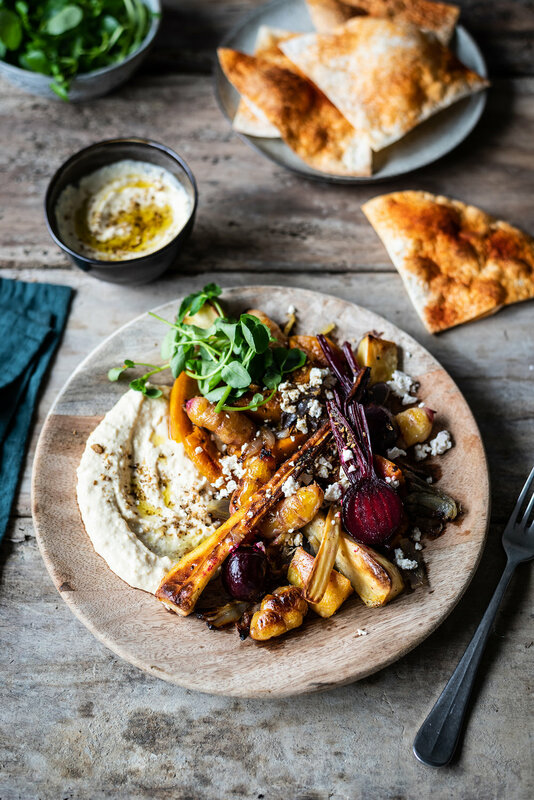 This recipe is in collaboration with the lovely folk at Lisa’s, celebrating the release of their new Smokey Hummus available at selected New World and PAK’nSAVE stores. They have been kind enough to give me a prize pack to give away! This includes 1x bag of Farrah’s wraps and 3x Lisa’s product vouchers. Look out for my Facebook post to be in to win. Place the root vegetables, red onion and garlic bulb in a large lined baking dish. Drizzle with olive oil and season with salt and pepper. Roast for 30 - 45 minutes or until golden and soft. Remove garlic from skins and scatter cloves throughout dish. Alternatively, place leftover roast vegetables in a large lined baking dish, heat up in the oven for 10 minutes. Cut wraps into quarters, brush with olive oil and sprinkle over smoked paprika. Bake in the oven for 2 - 4 minutes or until puffed up and just beginning to turn golden. Serve roasted vegetables with watercress, Lisa’s Smokey Hummus, feta, dukkah and baked tortilla crisps. Finish with a squeeze of lemon juice.